Eighty percent of learning during a childʼs first 12 years is based on visual information. One in three children with significant vision problems passes vision screening. One in six vision problems is serious enough to affect learning. In fact, it is estimated that 60% of students identified as having learning difficulties actually have undetected vision problems. So, make sure you equip your children to reach their full potential; have their eyes checked! 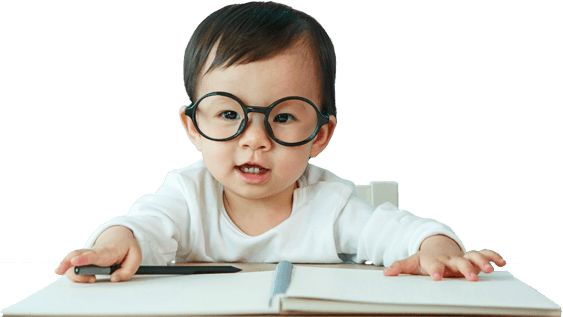 The Canadian Association of Optometrists recommends infants and toddlers (birth to 24 months) have their eyes checked by 6 months of age, preschoolers (2 to 5 years) at age 3 and then yearly, and school age children every year. And the icing on the cake is that in Ontario their eye exams are covered! In fact, they are covered until they turn 20! Doctors of optometry recommend infants have their first eye exam at six months of age and then annually after that. A doctor of optometry can complete an eye exam even if your child doesn’t know their ABC’s. A doctor of optometry can use shapes, pictures and other child-friendly ways to evaluate vision and eye health.